I defend (and sometimes prosecute) professional negligence and product liability matters on behalf of professionals and corporations of varying sizes. For example, I recently obtained a not guilty verdict on behalf of a general surgeon in a medical malpractice case and am currently prosecuting a complex third-party product liability action on behalf of a large university. Since joining the WBAI in law school, I’ve found the organization to be a helpful resource as a developing young professional. 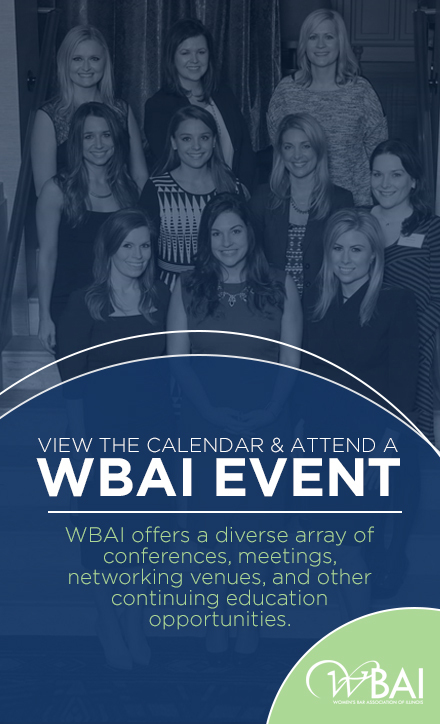 I also appreciate the organization’s focus on mentorship and sponsorship and have made many new professional acquaintances as a result of my involvement in WBAI. What are the ways you try to achieve work/life balance? I try to maximize my down time. I rarely work at home and try not to send emails or answer calls outside of business hours. For me, being truly present and engaged when I’m away from work allows me to re-engage and return to the office refreshed. Admittedly, I’m not always as disciplined about this as I’d like to be, but I’m trying to improve. I’m a TCU alum and native Texan, so TCU football season (with, hopefully, a Bowl Game victory in early 2018)! My dog, Barry, was born on inauguration day and is named after Barack Obama. And, yes, he does have an Instagram account.